Former President John Mahama says the government is having challenges to meet some of its obligations as a result of the huge impact the free senior high school is having on its finances. According to Mr. Mahama, activities at some state institutions, including National Health Insurance Authority (NHIA) and the Ghana Education Trust Fund (GETFund) are virtually at a halt because the government cannot find money to fund their operations. 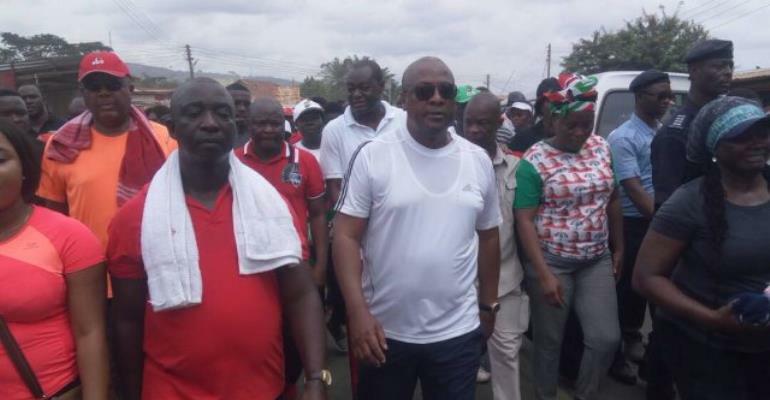 Addressing National Democratic Congress faithful in Somanya in the Eastern Region to end the Unity Walk campaign there Saturday, February 24, 2018, John Mahama criticised the “ad hoc manner” in which the policy was put into effect. “And so almost every money you have, you are having to put into free senior high school so you can’t pay District Assemblies’ Common Fund, you can’t pay NHIS, you can’t pay GETFund [and] you can’t pay other salaries and things because all your money is going into free senior high school,” stated. 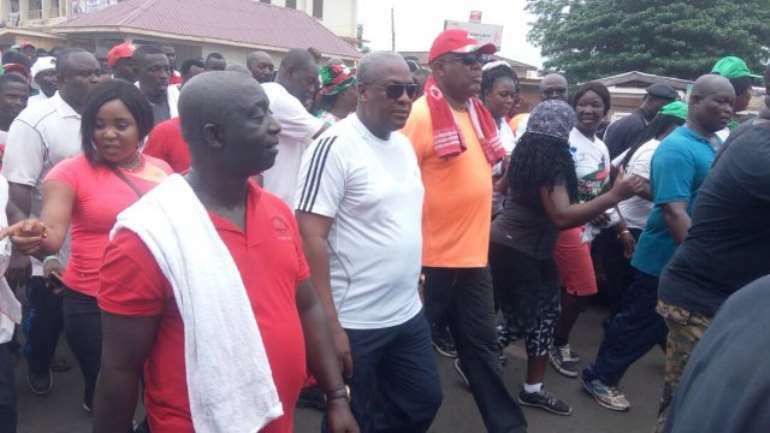 The Unity Walk in Somanya was led by Mr. John Mahama; his vice, Kwesi Bekoe Amissah-Arthur; Party chairman, Kofi Porturphy and General Secretary, Johnson Asiedu Nketia as well as some flagbearer hopefuls.